Do you like an elegant look? 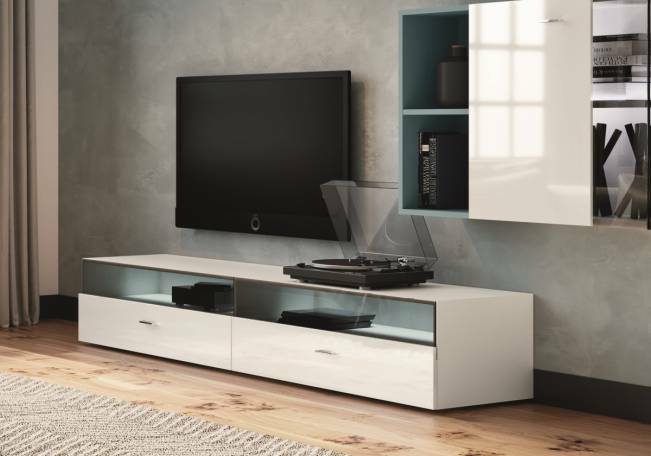 If functionality and storage space make the perfect design for you, then the 2-Raster TV unit is exactly what you need. The front comprises of a glass piece which is attached to a wooden panel (lacquered or veneered).